By Fr. Brian Mullady. All vocations have their source in God. Man must be prepared and open to respond. Grace is offered to all and is the normal and ordinary means by which a person hears the voice of God. "Here I am, Lord. I come to do Your will." Introduction by Bishop Thomas G. Doran. 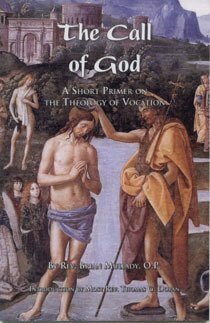 In this book, Dominican Father Brian Mullady offers insights on the various vocations in the life of the Church. His reflections bring light to the subject of how each of these callings responds to the universal call to holiness and serves to extend the Kingdom of God.